Courtney Brumbelow, CCIM | (770) 913-3905 | cbrumbelow@ackermanco.net | Ackerman & Co.
2nd Floor | 12630 Crabapple Rd. 2nd Floor | 12640 Crabapple Rd. Available: 1,902sf space with stunning floor-to-ceiling windows. 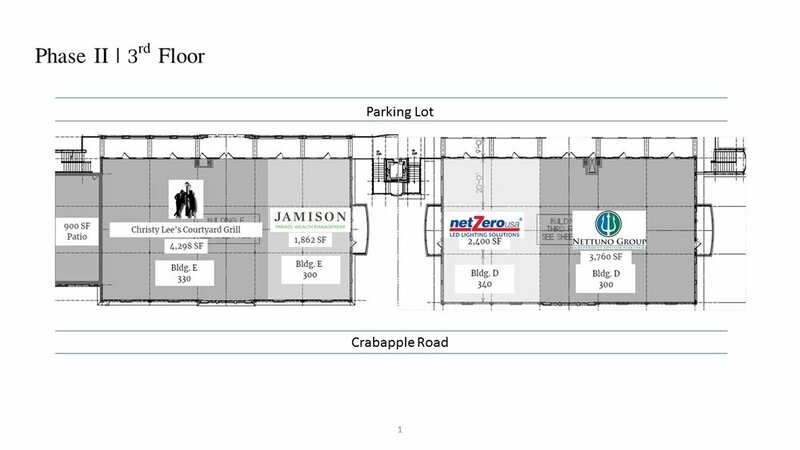 3rd Floor | 12630 Crabapple Rd. 3rd Floor | 12640 Crabapple Rd.